Athlone was a railroad town, ten miles southeast of Merced and four miles southwest of Plainsburg. 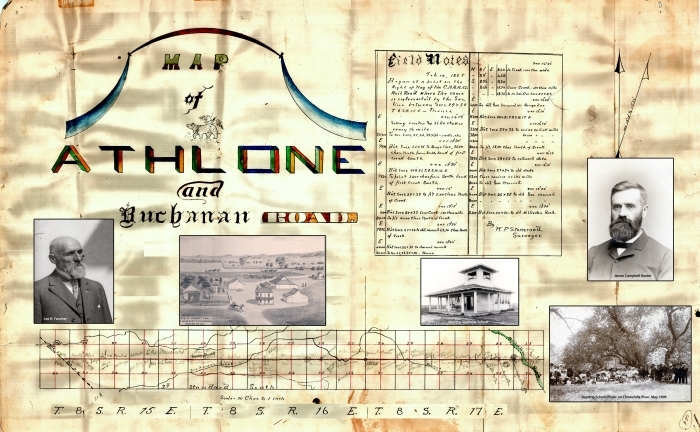 The construction of the Southern Pacific railroad in 1872 gave birth to Athlone. Athlone was first called Plainsburg Station or “Plainsburg Switch” in the early days. Among the early settlers of this community, Patrick Gilhane, an Irish immigrant, built a saloon in the area and named it the Athlone House after his hometown in Ireland. Wheat farming and cattle ranching were the two main enterprises in the area. For this reason, Athlone was a busy shipping point. Athlone and Buchanan Road (Today’s Buchanan Hollow Road) was built to accommodate farmers to the Southern Pacific Railroad station. Athlone remained a very small community and was razed in 1950 during an expansion of Highway 99. 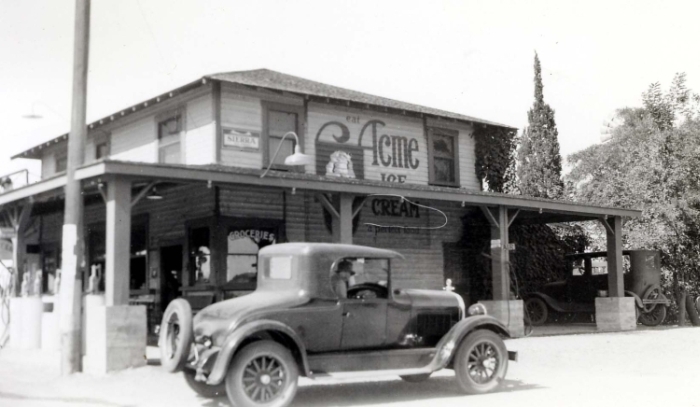 The rise and fall of Athlone illustrates the life cycle of many small towns and communities in rural Merced County. 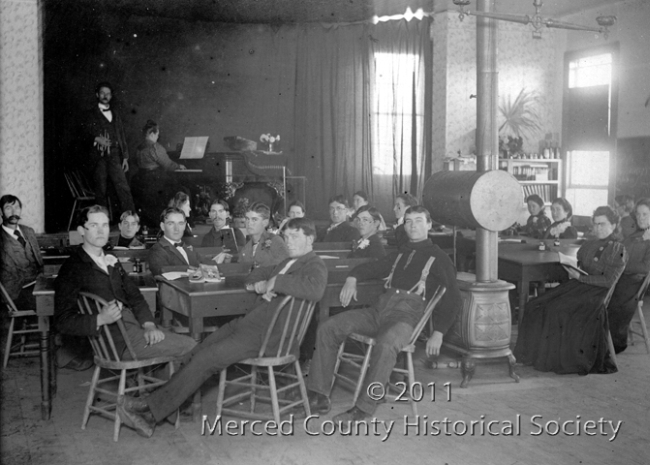 One way to remember or discover the forgotten towns of Merced County is to visit the “Let’s Google That Old Road” exhibit which will open on Thursday, June 16 at 5:00 p.m. 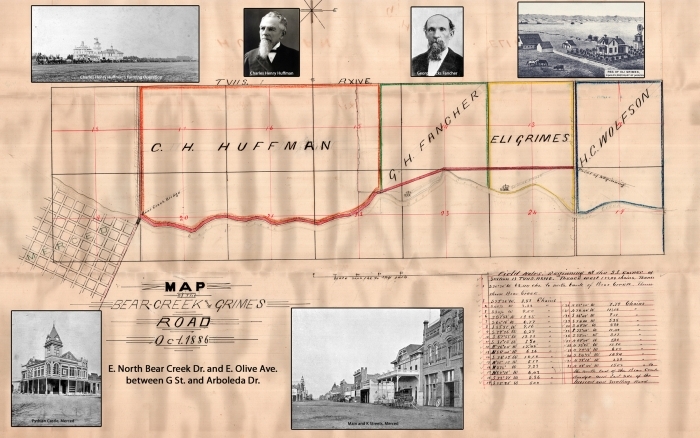 Integrating Google Earth technology into the study of old hand-drawn road maps of Merced County from 1855 to 1899, the exhibit will bring a new level of understanding of demography, geography, and settlement patterns of this county in the second half of the 19th century. At the exhibit opening, Merced County ghost town historian Herb Wood will give a PowerPoint presentation, “Old Roads and Forgotten Trails,” at 6 p.m. The event is free to the public. For more information, please contact the Courthouse Museum at (209) 723-2401. Athlone Service Station and Library. Athlone and Buchanan Road 1885.